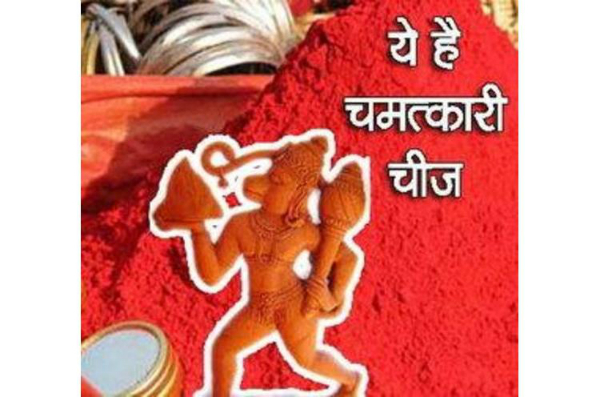 Vermillion (sindoor) is offered to get the special grace of Hanuman. Vermillion’s color is orange. Offering vermillion to Hanuman on Tuesday is beneficial. You can get rid of many problems. It protects us from an accident and we can get rid of from debt. Keep vermillion in peeple or betel leaf before offering it. Women should avoid offering vermillion it to Hanuman. However, they can offer red flower. Jasmine Oil: There is a tradition of serving jasmine oil to Hanuman. However, do not serve jasmine oil without vermillion. Jasmine oil has special aroma. It is also used in medicine. Concentration increase by serving vermillion to Hanuman. The vision also increases. We can get rid of from enemies by lighting jasmine oil lamp in front of Hanuman. Flag: It is extremely beneficial to offer red flag in Hanuman temple. The flag should be triangular and “Ram” should be written on it. Offering flag in Hanuman temple on Tuesday is beneficial for property. It also reduces property related problems. If you keep red color flag on vehicle then it protects you from an accident. Tulsi: Offering Tulsi to Hanuman is special remedy. Hanuman satisfies only with Tulsi. By offering Tulsi garland to Hanuman on Tuesday maintains prosperity. You can also remain healthy if you eat one Tulsi from that garland. Laddoo: Usually, laddoo is offered to Hanuman. You can offer besan or bundi laddoo. All planets control by offering bundi laddoo while offering besan laddoo controls few planets. Keep Tulsi leaf and keep laddoo on Tuesday evening. You should eat dainty and feed it to others. Ram Name: Hanuman much like Ram name. Hanuman becomes happier due to Shri Ram’s prayer. Write Ram with jasmine oil and vermillion on peeple leaf. Offer it to Hanuman. It is beneficial to get rid of any problem. Good Luck: Never wear coral and emerald together. It creates obstacles in career. You might face skin problems.